Protecting your trade secrets and other important confidential company information is critical to the success of your business. It is also critical to ensure that those individuals you have trained in the ways of your industry do not go out and deliver these secrets to your competitors. 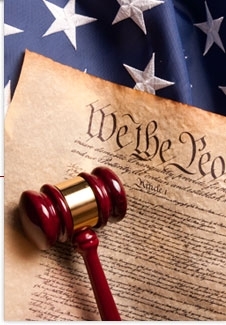 At the law office of Lum, Drasco & Positan, in New Jersey, we use our more than 140 years of experience to protect the rights of corporations and businesses by drafting non-compete agreements and confidentiality agreements that protect a company's rights. We offer reputable and practical representation throughout New Jersey. Contact our proven lawyers today to schedule a consultation. Non-compete agreements are critical for employers. It is especially important to ensure that a skilled lawyer has drafted or reviewed your contracts in order to ensure that the language used will hold up in court. If your agreements restrict too much activity or cover too broad of an area, they could fail. You can rely on our sophisticated and effective attorneys to draft solid agreements for your company and litigate any issues that may arise regarding them. Confidentiality agreements are equally as important. We have assisted sellers of businesses in drafting confidentiality contracts to present to potential buyers prior to the buyer conducting his or her investigation of the financial and operational status of the company. We can discuss when a confidentiality agreement might be necessary for you and work with you to exceed your expectations. Legislation in New Jersey is constantly changing regarding employment and labor laws. We stay on top of these changes in order to best protect your rights in and out of the courtroom. Our high-caliber representation will provide you with long-term solutions to your employment law matters. Contact our employment law firm today to speak with an attorney about your employment and labor concerns.